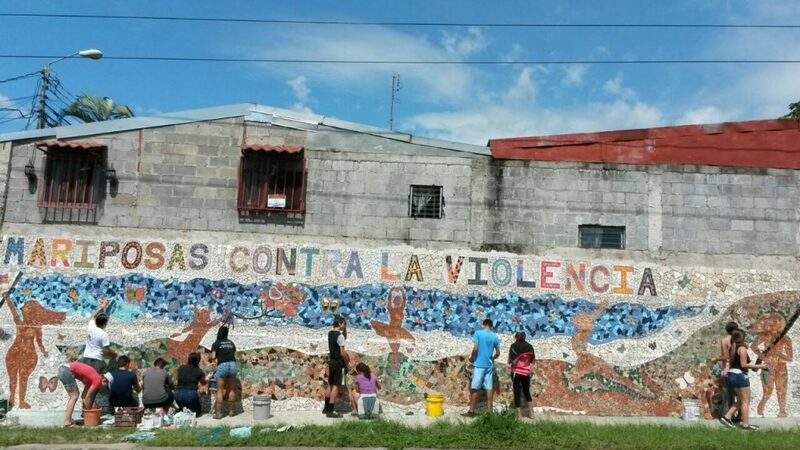 In this project, I explore how anti-violence organizing can be sustained inter-generationally through the built environment in one state-funded self-help housing project in Costa Rica. Responding to a critical housing problem in the country, socialist and feminist organizations in the 1980s organized with and against the State for the provision of materials and land so that organized committees of the urban poor could build and ultimately own their own homes. Through the construction process, organizers linked of the problems of housing with growing concerns over domestic violence (DV). Through a short-term cohort study using interview and visual methodologies with multiple generations in the community, I (1) trace the ways anti-violence practices can be embedded in the built environment through urban planning; (2) explore how inhabitants experience and internalize the resulting built environment and anti-violence ideologies; and (3) evaluate the effectivity of anti-violence influenced design across generations. Critically, the ways in which residents conceptualize DV has shifted to emphasize the relationship between DV and other forms of violence: the influence of drugs on inter-generational violence, and representational violences that reinforce stereotypes of urban poor communities as sources of delinquency, anti-social behavior, and violence. Responding to the ways these narratives are internalized or resisted by residents, a team of local artists, residents, and I constructed two community murals that draw residents into an ongoing conversation about local violences, by drawing on political histories of place to interpolate future generations into community based action.